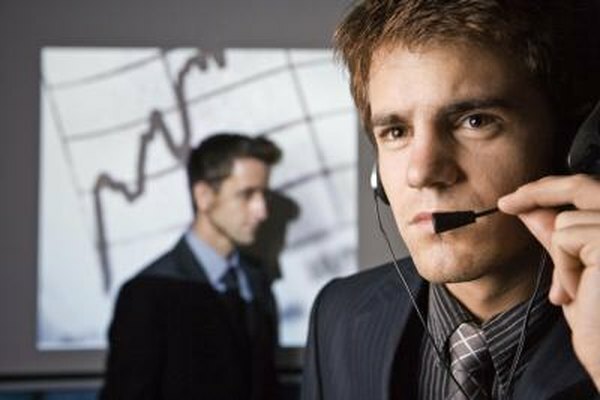 Experienced stock traders work to develop competitive advantages over the market. 2. What Is a Sideways Market? Stock trading can be a competitive endeavor, but it does not have to be. Rather than competing for limited resources in a zero-sum game, as in most other businesses, stock traders compete against the market in general, attempting to secure profits and minimize losses in a market where one person winning does not require another person to lose. Whatever your approach, there are a number of guidelines and trading philosophies that can help you develop a competitive advantage over the market, allowing you to earn greater profits than major indexes. Combining these rules can help you develop a competitive strategy suited to your personal investing style and goals. Choose industries that you understand, either as a long-time customer or an insider. Working within industries that you know well can give you the advantage of extra insight into the more subjective qualities of different companies, such as the appeal of upcoming product releases, the reputation of incoming executives and the soundness of business models in specific industries. People with no experience in an industry can miss common-sense insights that insiders notice right away. Combining these insights with fundamental and technical data can increase your chances of making the right investments in the market. Make risk management a major part of your trading strategy to minimize your losses and keep your net income positive. Limit your daily losses to a certain percentage of your total account value each day and use stop-loss orders to ensure that you do not lose more than you planned to lose. Never break these rules based on your emotions, whether negative or positive. Trust the statistical advantage of your strategy, and never risk more than your chosen daily percentage. Allowing yourself to slip up here can quickly damage your competitive position, as unnecessarily large and uncontrolled losses can take days, weeks or even months to earn back. Avoid making trading decisions based on stories in the financial press, as this can severely damage your competitive edge. When a reporter publishes a story about a "hot" stock, it means the fundamentals underlying the move already have happened, and savvy traders in the market already have responded to it. It is this very action that inspires news stories. Thus, when you act on news stories, the strong trend is likely to be at or near its end, leaving you with a bad trade. Perform your own research and analysis to uncover companies that are strong in metrics and that appeal to your personal risk management guidelines, time horizon and trading objectives. Try to find newsworthy price moves before the press covers them to maintain a competitive advantage. Do not trade stocks based on hunches, feelings, rumors or news stories. Develop your own system focused on key fundamental and technical factors that resonate with your trading style. Clearly define rules for your trading criteria, and never break them. For example, your strategy may stipulate that you will only consider buying stocks in companies with positive net income, higher-than-average return on equity and increasing sales, and that you will only buy into stocks at a 50 percent retracement of a strong up-trend. Sticking to the rules can allow the statistical advantage of your strategy to work, keeping you more competitive than less-disciplined traders. MoneyCrashers: The Best Way to Invest -- Fundamental or Technical Analysis?